If you're browsing our PPE gloves and PVC gloves for sale, chances are good that you work in the medical profession and are looking to stock up on the protective gloves you need to safely and effectively do your job. While you're doing so, why not take a moment to review proper health and safety practices as well? After all, it never hurts to refresh your knowledge of how to effectively use protective gloves. Why Do Medical Professionals Use Protective Gloves? Protective gloves help to protect both the medical professional and his or her patients; medical professionals are protected from cut and puncture injuries and from harmful microbes, while patients are protected from the risk of disease transmission. Research has shown that using medical gloves reduces the likelihood of bacterial contamination by approximately 70–80%. Likewise, hand protection with gloves is essential because even rigorous hygiene practices cannot remove all pathogens. Remember that gloves are not a substitute for proper hand washing practices. Neither hand sanitation nor protective gloves alone can completely protect against disease transmission—only the use of both gloves and proper hand sanitation can virtually eliminate the risk of contamination. Always wash your hands after removing protective gloves and before donning a new pair of protective gloves. Never use the same pair of gloves when interacting with more than one patient. Some medical professionals erroneously believe that it is okay to keep wearing the same pair of gloves between patients so long as they wash their hands (with the gloves on), but this is not the case. As stated prior, hand sanitation is not enough on its own to mitigate the risk of disease transmission. Always change your gloves and wash your hands in between patients. Do not carry gloves around with you. Some medical professionals store fresh pairs of protective gloves on their person (placing them in a pocket for later use, for example) not realizing that this is an unsafe practice. 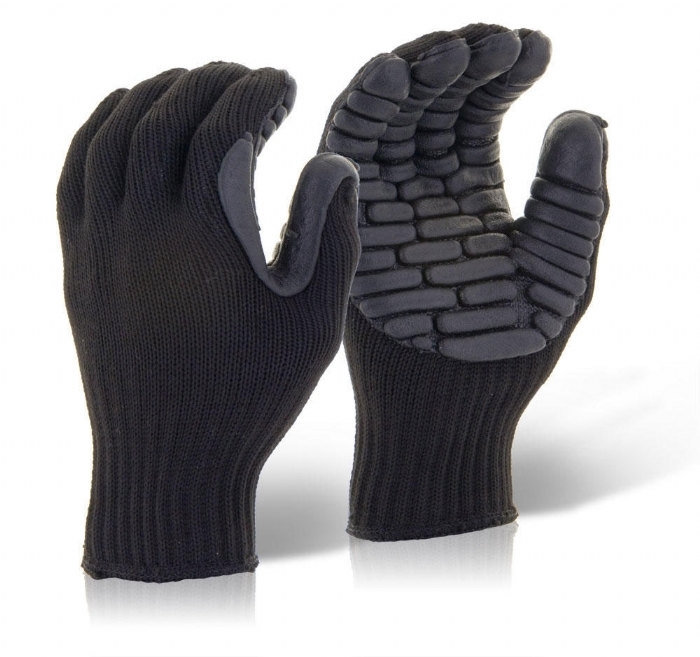 Any time a pair of gloves is exposed to a surface, such as a counter top or the lining of a pocket, it is exposed to potentially dangerous contaminants. As such, you should always use gloves that have been freshly removed from the original box they came it. Always dispose of protective gloves after using them. Leaving a pair of gloves lying around after they have been used increases the risk that someone might mistake them for a fresh pair of gloves and put them on, possibly transmitting bacteria to vulnerable patients. Always dispose of your gloves immediately after you use them. Always change gloves when moving between “dirty” and “clean” procedures with the same patient. If the gloves you are wearing come into contact with substances like blood or mucus, you absolutely must remove them, wash your hands, and put on a new pair before engaging in any other procedures with the same patient.